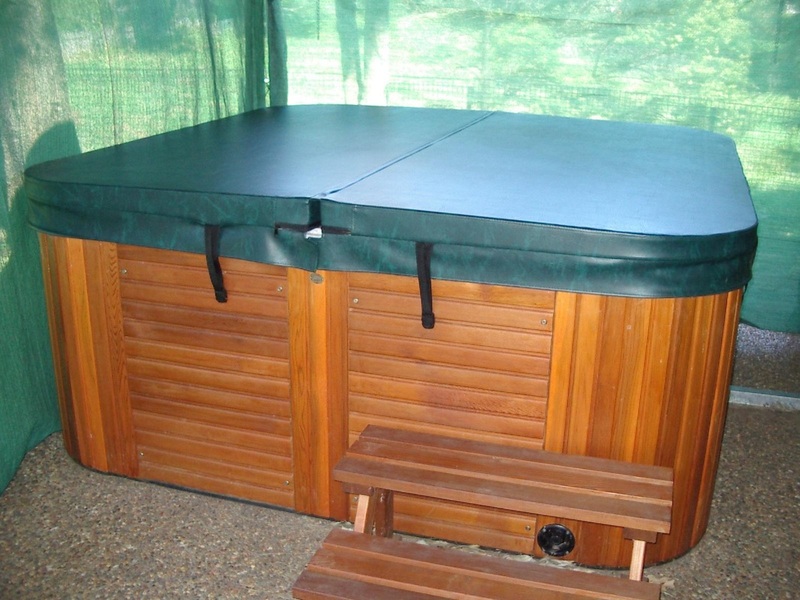 Follow these simple instructions for installing your spa cover. Your new spa cover by Pinz comes with detailed instructions and the buckles and screws that you will need to lock down your spa cover. Your spa cover will come with either four, six or eight locking buckles which need to be fastened to your spas shell, cabinet or surround. Position your spa cover on the spa, with the join or hinge in a direction that makes the spa cover and handles easy to access and operate. 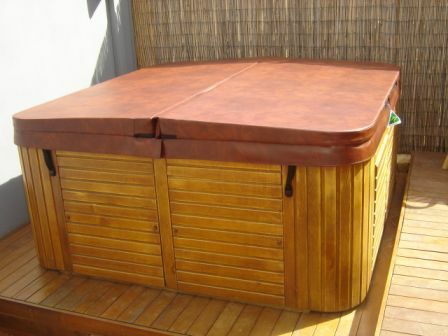 If you have a two piece spa cover it is preferable to have the spa cover half with the flap at the front of your spa, or as the piece you will lift first. This will ensure that any water or dirt / debris will not tip straight into your spa when removing the spa cover. Let the straps hang to a natural position and mark around the bottom edge of the buckle. Unclip the buckle and place the bottom half of the buckle up against your mark, and then mark the holes. Use a 2.5mm drill bit and drill your holes before placing screws. If you are drilling into concrete or bricks a masonry drill bit and wall plugs will need to be used. These locks are not essential to the operation of the spa cover however they are recommended to improve child safety and to windproof the sp a cover in outdoor situations. If you prefer not to have the locking clips, you can cut the straps holding the clips with a sharp pair of scissors. This is not recommended unless you have alternate approved safety/security measures. If you have any top mounted controls make note of where these control buttons are and push firmly down on your cover in that area. If you now flip your cover over, an indentation will have formed in the underside of your spa cover. Place the spa cover upside-down on a flat surface and further indent the foam using your thumbs. The spa cover needs to sit flat on the spa lip to ensure the best possible heat and dirt seal. If you have controls that are activated when you put the spa cover on they will need to be replaced or protected. A cut down aerosol lid often performs well as a control button cover. Place the bottom of the lock level with the bottom of the spa lip (this will leave a little slack in the strap to make operation easier). Mark the position and drill 2.5mm holes in the spa shell before placing the screws.